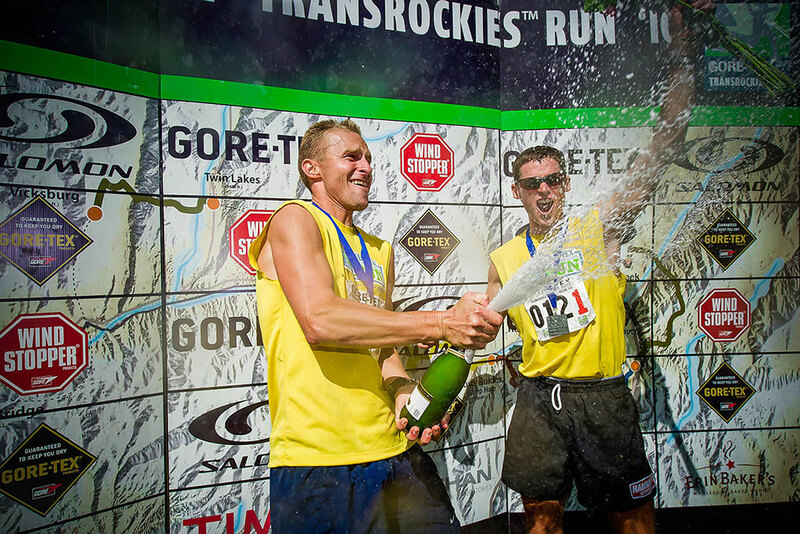 If you’ve ever done a stage race with a partner, adventure race or relay, you’ve undoubtedly seen a couple screaming at each other over something gone wrong. So, this begs the question, what makes a good partnership between runners and how do you avoid getting into an argument with your training/racing companion? To answer this question (with no definitive conclusion, mind you) I relied on a lot of experience and asked the interwebs (because that always results in great advice). The amount of contact between you and your partner can vary quite a lot between training and racing. During training you’re usually much more tolerant and your competitive nature isn’t in full swing. Finding someone to train with will usually be easier than finding that perfect individual to race with. The great thing about finding your partners in these locations is knowing other like-minded people and their affinity for running, but a good training partner goes beyond that. Attributes that came out on top from internet polling (so obviously, 100% reliable) were accountability (flakiness is not tolerated), good conversationalists whom can talk about more than just running, and similar ability levels. All sounds like good advice to me, but if you’re picking a runner who’s just a little bit faster than you to optimize your training (as suggested by as some of those on the internet), what’s in it for the other person if you’re just dragging them down? Once you’ve established that you may have just found your new best friend, then you can discuss schedules and see if you can match up sometimes that will work to get together for a run. This is how I assume most running partnerships begin. A racing partnership can be very different. Race dynamics amplify any underlying emotions or differences between partners. Alter egos can come flying out as the competition becomes heated and you find out your partner is more like Mr. Hyde than Dr. Jekyll. Usually finding a race partner comes from your close group of friends, often a significant other, and rarely from just picking a partner at random. Sometimes partnerships are forged through online forums. This can often create an interesting dynamic, sometimes great lifelong friends, and at worst (or the most entertaining), an explosive relationship that comes to a frightening end at mile 95 of a 6-day stage race through the Rocky Mountains as you ascend yet another energy sapping 3,000 ft climb at 10,000 ft, with a broken toe and a screaming IT Band. I find it best to fully understand yourself and your potential partner before racing together. If you don’t before, you surely will after. Before going into a race, talk about your respective strengths and weaknesses and how each may affect how the race plays out. Make sure you’re on the same page. If one of you goes in with a competitive mindset and the other is thinking more running vacation, you’ve got a recipe for disaster. If you’re screaming at your partner at the top of a climb to hurry up (with more obscenities than a sailor) and they’re picking wildflowers, your dinner conversation isn’t going to be pleasant – if you’re even speaking to each other. I’ve seen this scenario and it usually plays out with each person running alone over the subsequent days of racing (it’s not pretty for the other competitors to witness, either), and can result in disqualification. My advice for racing: pair a competitive person with another competitive person of comparable abilities, a stronger but less competitive person with a slower more competitive person can also work well, and two very non-competitive people getting together just sounds like a lot of fun to me. The key here is to manage expectations, have open communication, and empathy for the other person on your team. This is good advice for any situation in life, but when you’re just trying to hang on to those valuable training/racing partners, this bit becomes very important. A running partnership that works well is nothing to take lightly. It’s difficult to find people that will support you in your lofty goals, hold you accountable by getting up at 4 a.m. for a run, and will talk you through some of life’s most trying moments, because after all, the best time to figure out life’s problems is on a run. And if all else fails, just get a dog.